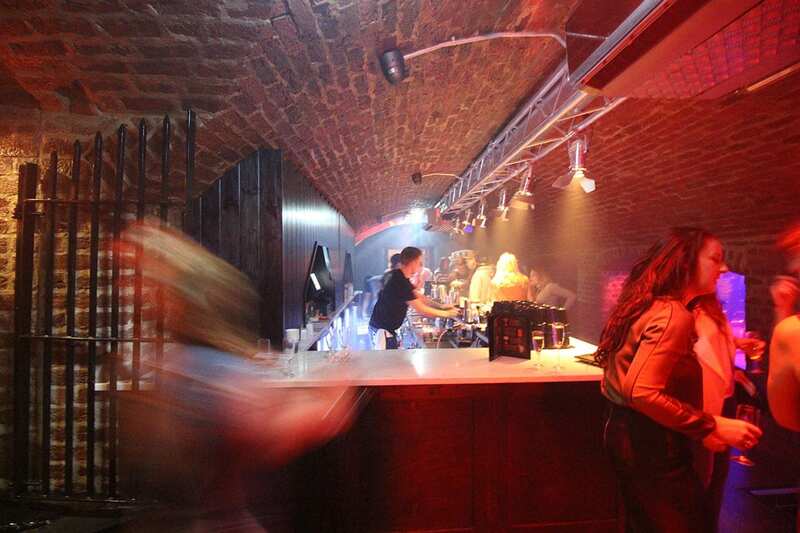 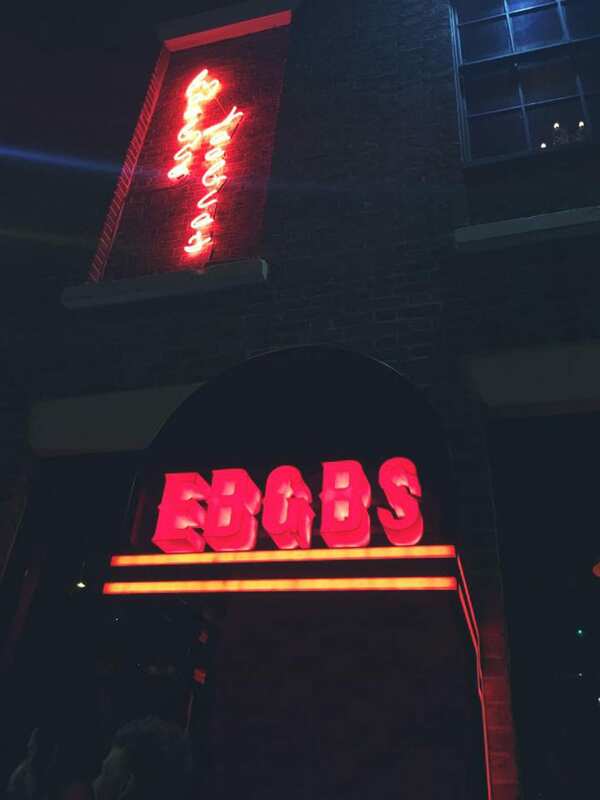 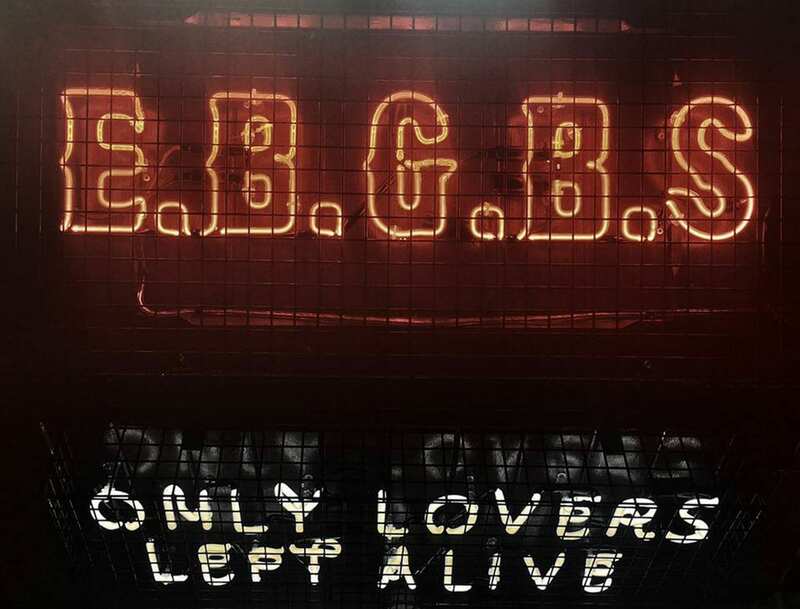 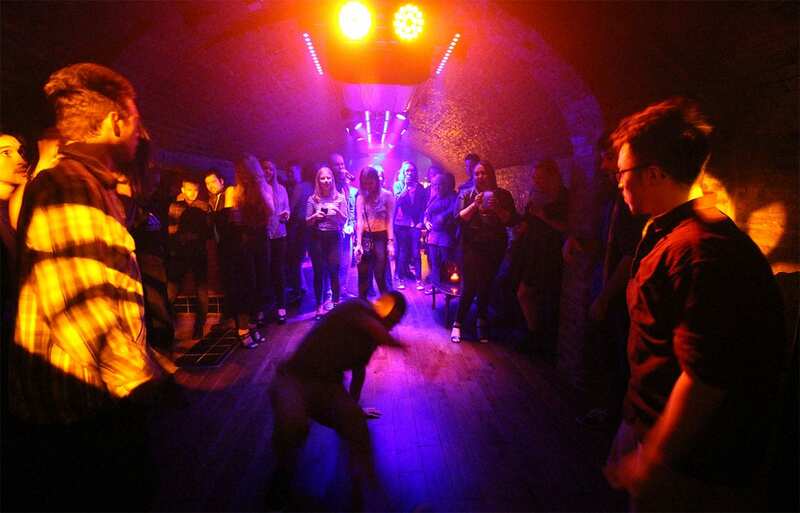 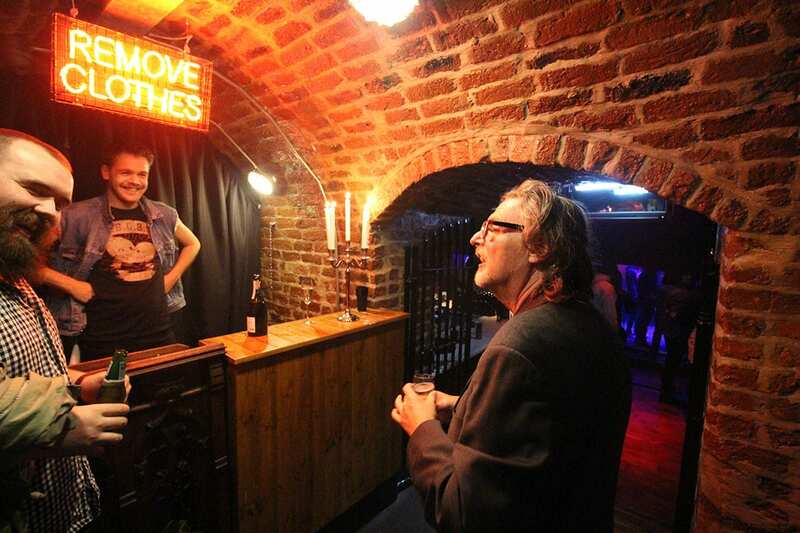 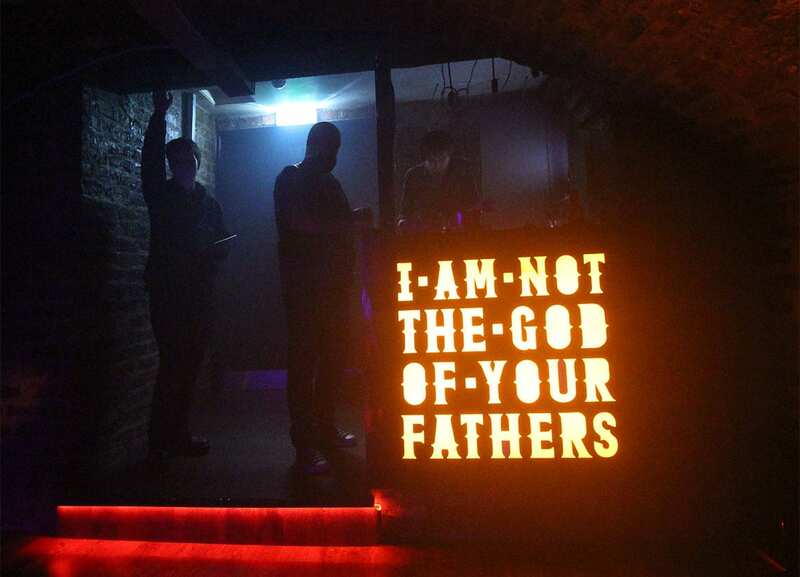 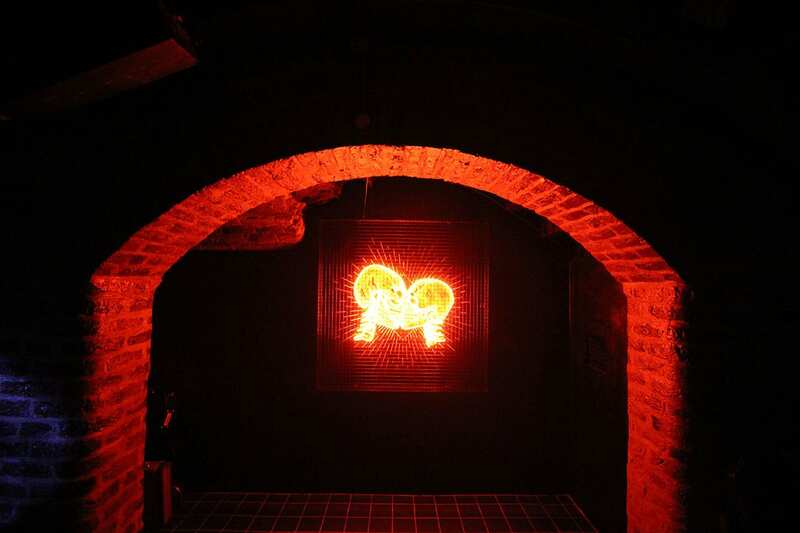 Heebie Jeebies is an essential part of most nights out in Liverpool, but the basement was under used and Architectural Emporium were asked to re-imagine the fantastic brick vaulted space with a new night club and bar inspired in part by the film, From Dusk Till Dawn. 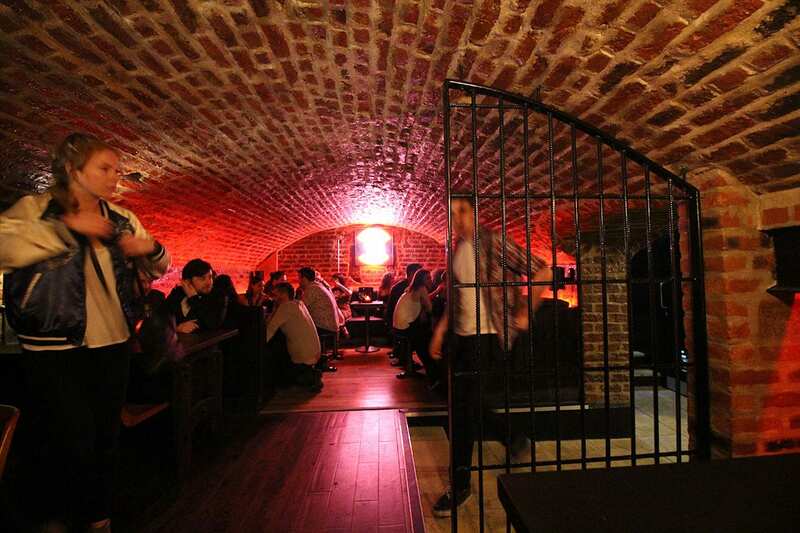 Previously, the bars were squeezed into the ends of the vaults, with corridors between, making seating difficult to plan. 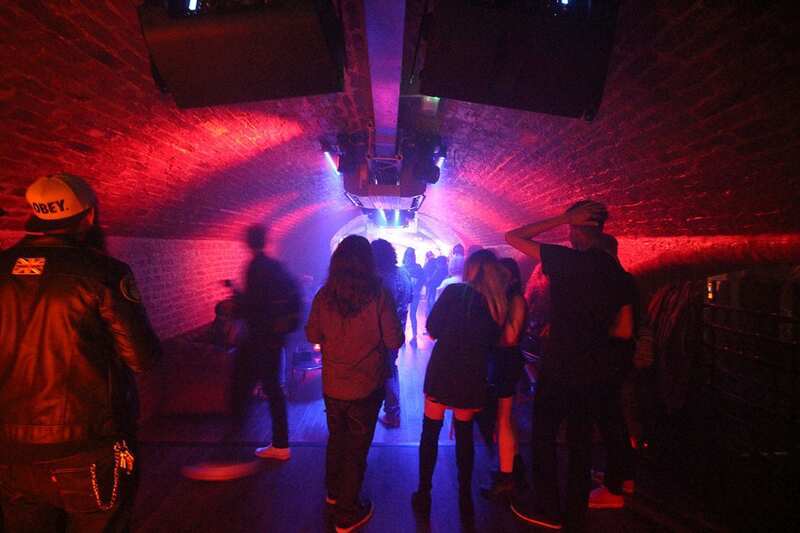 We worked closely with Graham to totally change the venue by relocating the bars to the centre of the plan, allowing a circulation route around them, with the various vaults occupied with comfortable seating, the stage and a DJ booth. 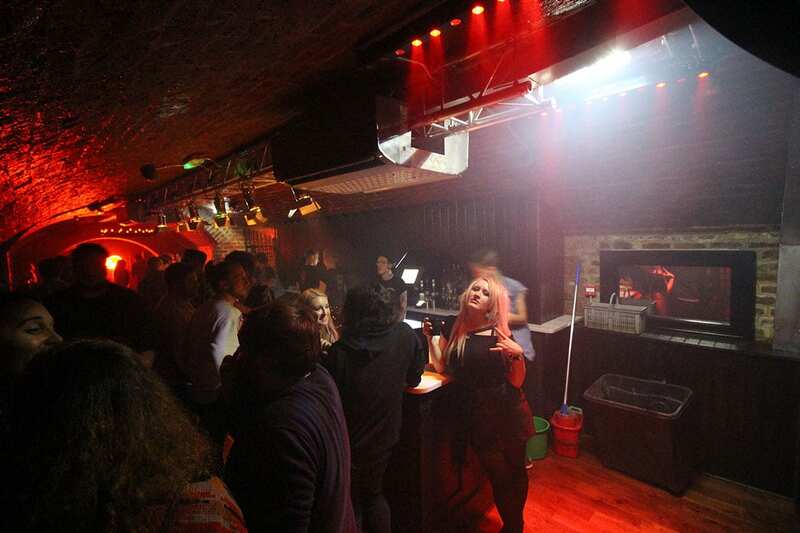 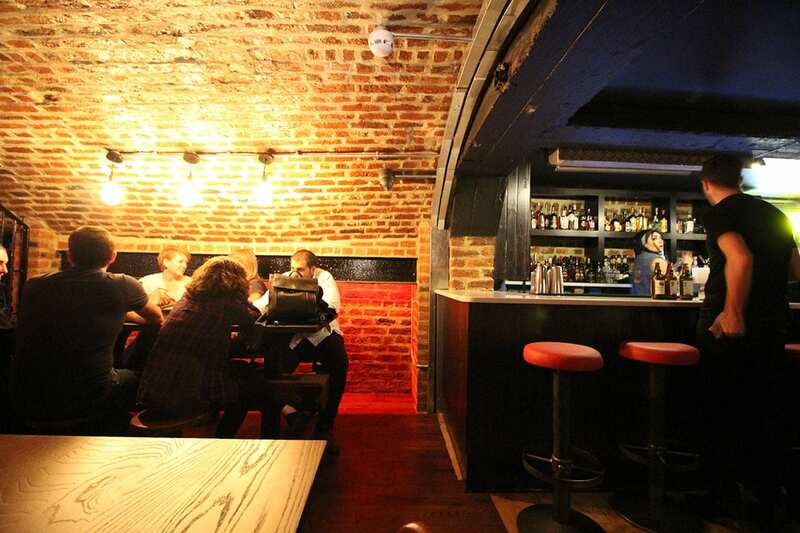 Now the venue divides in three, with a bar to one side, a new private area is located behind the cloakroom curtain and a nightclub and venue to the other. 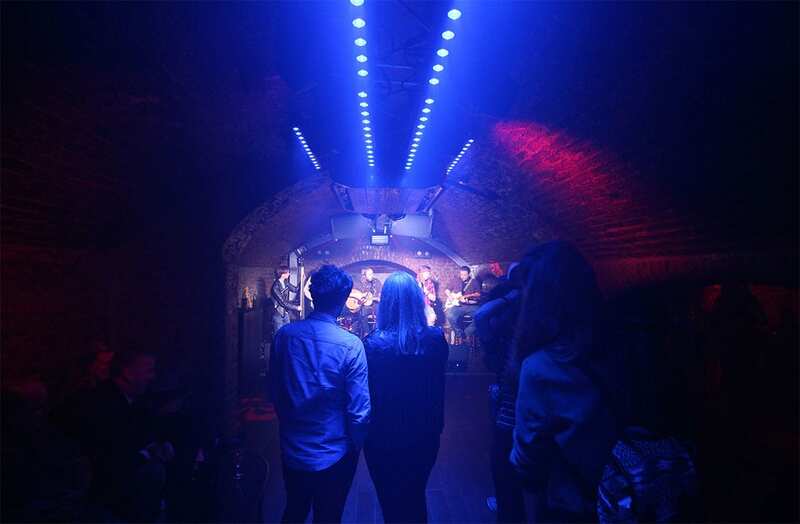 Two lighting rigs run through the centre of the main vaults to give the venue ultimate flexibility. 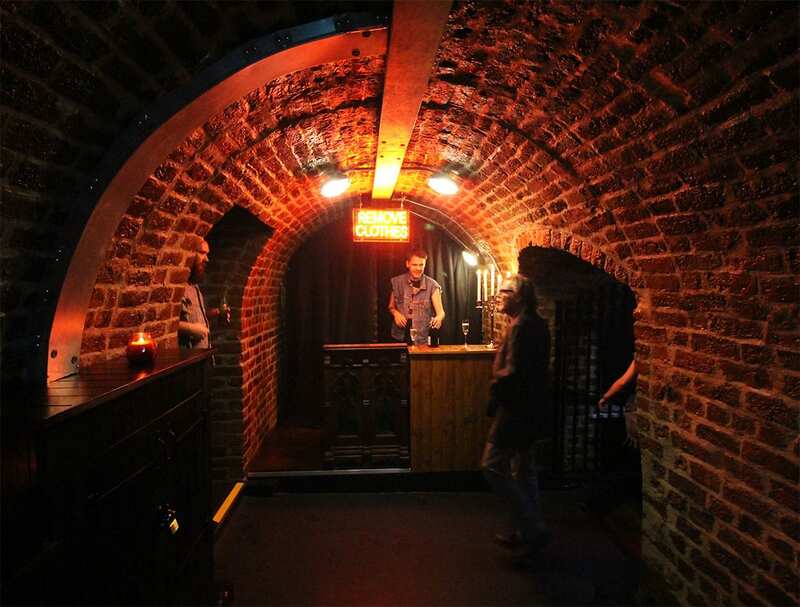 A curved canopy marks the basement entrance with neon used to animate the ends of the vaults internally. 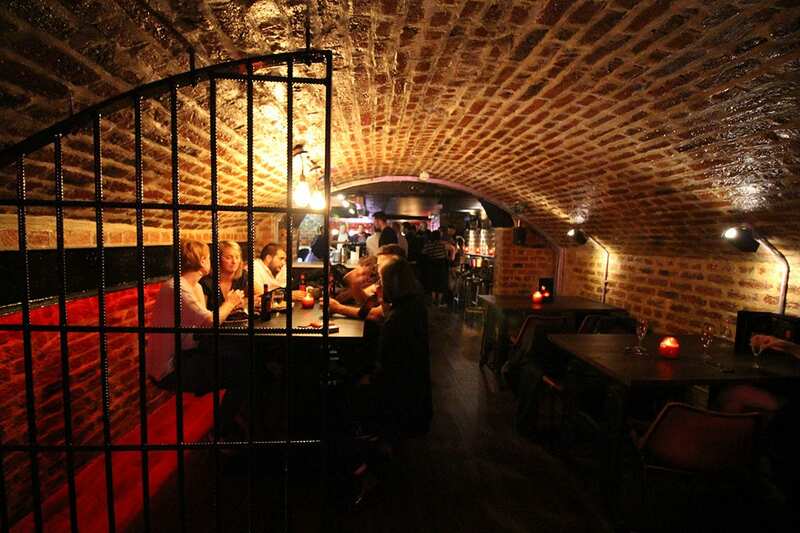 As the client and builder have delivered many bars themselves, the process was collaborative and less involved than many of our other projects.